Last week, the United States Preventive Services Task Force (USPSTF) finalized its new prostate cancer screening recommendation, which upgrades its recommendation for men 55 – 69 years old to a C rating. While the updated rating is a step forward, it’s not enough. The decade-long message that discouraged men from getting tested has led to an unprecedented increase in prostate cancer deaths this year – an anticipated 10 percent jump, according to the National Cancer Institute. The previous recommendation deterred men from a simple blood test and was a barrier to early detection (which would have saved countless lives). The new rating from the USPSTF stipulates that with regard to the prostate-specific antigen blood test (PSA), there is “at least a moderate certainty that the net benefit is small.” The previous D rating – which remains in place for men 70 and over – labeled the PSA test as doing “more harm than good,” and strongly discourages physicians from using the test for men at risk for the disease. 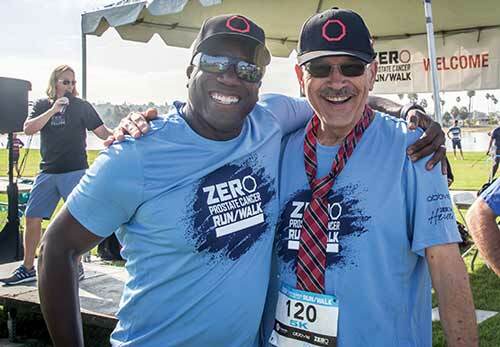 At ZERO, we meet active and vibrant men 70 and older leading amazingly impactful lives. 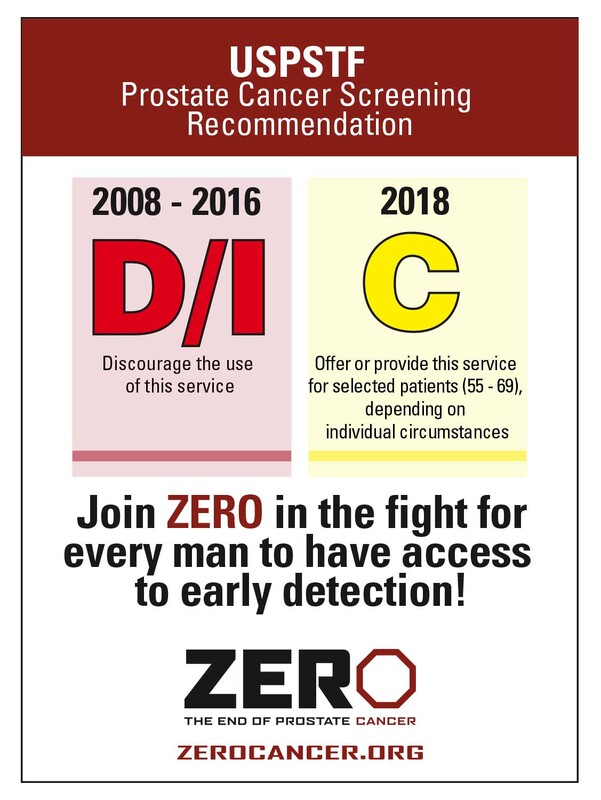 We believe these men deserve to know their PSA levels and make an informed, personal decision about options should they develop the disease. To help learn what this means to you, check out our video and hear from ZERO Medical Advisory Board Member Dr. Kelvin Moses. – Ted, Stage IV prostate cancer patient. There are only 18 more days to take advantage of our match to raise $20,000 to help 80 patients. Every dollar you give will be doubled by our match through May 31st. That means your support can make even bigger difference for men! Because of generous supporters, our campaign has currently raised $3,063. You can be the hero that helps us get to $10,000! 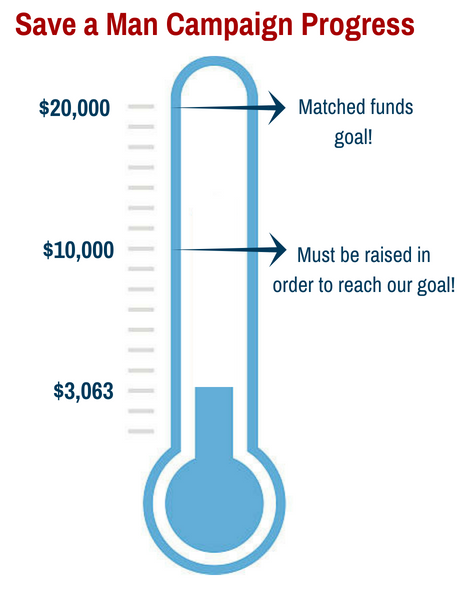 With our match, $10,000 becomes $20,000 to reach out goal. We can do it! Double your impact and donate to our Facebook fundraiser or on our website. Thank you for your generosity to help men in need. 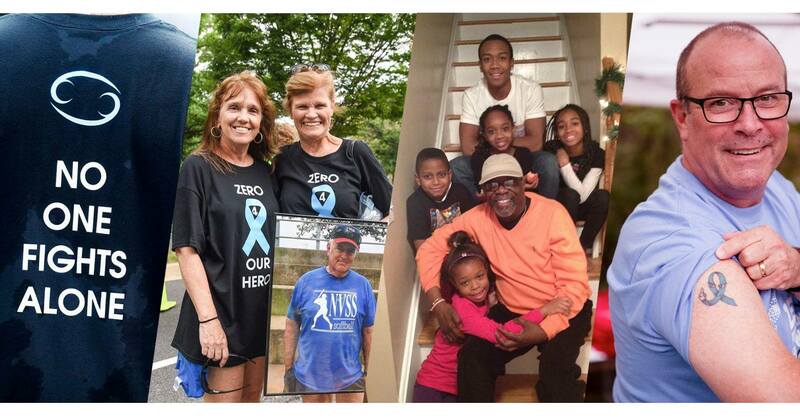 This June we’re honoring Men’s Health Month and Father’s Day by sharing stories of the dads who’ve battled prostate cancer: those we’ve lost, as well as the survivors and men who are still fighting. We want to hear your stories! Email your story to Amanda@zerocancer.org along with a photo for a chance to be featured on our social media channels in the month of June. We can’t wait to hear from you! You can also share your story on social media next month using the hashtag #DoItForDad. Have you joined ZERO Connect, our Facebook support group? Since launching last month, nearly 300 people have joined this online-only support group. They come together to share advice, ask questions, tell personal stories, and connect with one another on their prostate cancer journey. Share hope and support one another as you face this terrible disease. 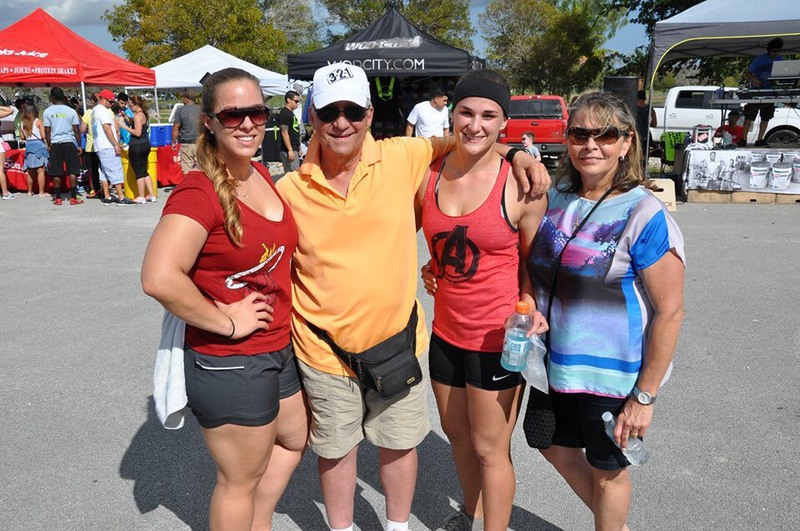 Are You Ready to Run/Walk With Us to End Prostate Cancer? In less than one month, participants in Syracuse and Chicago will lace up their sneakers for the first Run/Walk events of the year! This year our Run/Walk series will visit more than 40 cities across the country to promote awareness for prostate cancer and encourage men to be informed about their risk. Participants at each event will receive tech shirts, free food and prizes, and the opportunity to connect with others who are impacted by prostate cancer. Our National Spokesman, Jimmy Charles, will also be cheering participants on at select races, including Syracuse! We’re also bringing the series to a brand new city in 2018: The Big Apple. 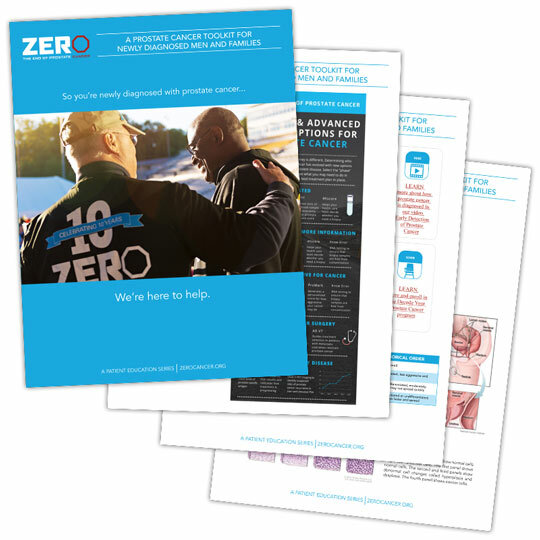 The ZERO Prostate Cancer Run/Walk – NYC will take place on September 23 at Wagner Park in Lower Manhattan and promises to be an instant classic. Check out our other locations and sign up today! 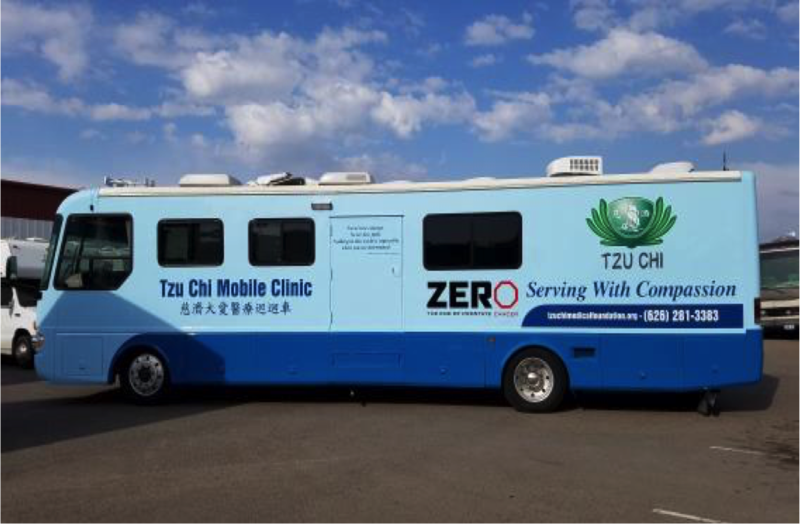 In partnership with our friends at Buddhist Tzu Chi Medical Foundation, we’ve tested more than 180 men for free in California! The impact Tzu Chi and this free testing program has is so vital in our fight to end the disease and increase awareness of early detection. It saves lives! Find free testing near you. 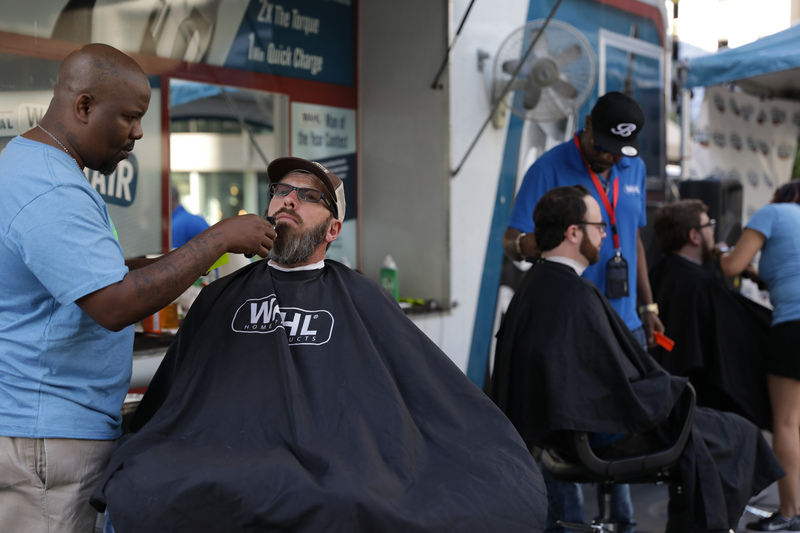 Philadelphia kicked of Wahl’s annual mobile grooming tour, which includes taking a 30-foot mobile barbershop on the road to visit the 10 Most Facial Hair Friendly Cities in America. At each tour stop, Wahl’s team of master barbers will give guys free facial hair trims with $1 for each frim going to ZERO to help us end prostate cancer. Full of information for newly diagnosed men, our Newly Diagnosed Toolkit includes information on the basics of a diagnosis, treatment options, lifestyle changes, support resources, stories from other survivors, and more. With support from Genomic Health. 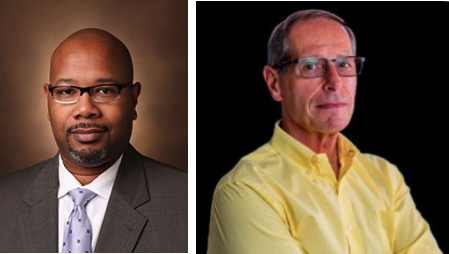 ZERO added two new members to its Board of Directors this week, Kelvin Moses, M.D., Ph.D., FACS at Vanderbilt University and Thomas G. Bognanno, President & CEO at Community Health Charities. They join a growing robust and talented board of directors with diverse medical, nonprofit, and advocacy experience. Team ZERO athletes compete in marathon and triathlon events around the United States to raise funds and awareness to fight prostate cancer, and we want you to join us. Want to race the New York City Marathon or the Marine Corps Marathon but didn’t get in? Team ZERO has you covered. Join us to add meaning to your miles today!